Research shows that around 8,000 – 10,000 people die in T-bone accidents every year, which is way more than the number of casualties involved in head-on and rear-end collisions combined. Modern automobiles have safety features like seatbelts, bumpers and airbags to protect passengers from the rear and front end collisions, however not much is done to provide safety to the passengers and the drivers from the sides. Some vehicles do have side curtain airbags but most of them lack these safety features. Broadside accidents can take place even at low speeds. Such accidents generally occur at intersections where the drivers do not follow stop signs or run red lights. 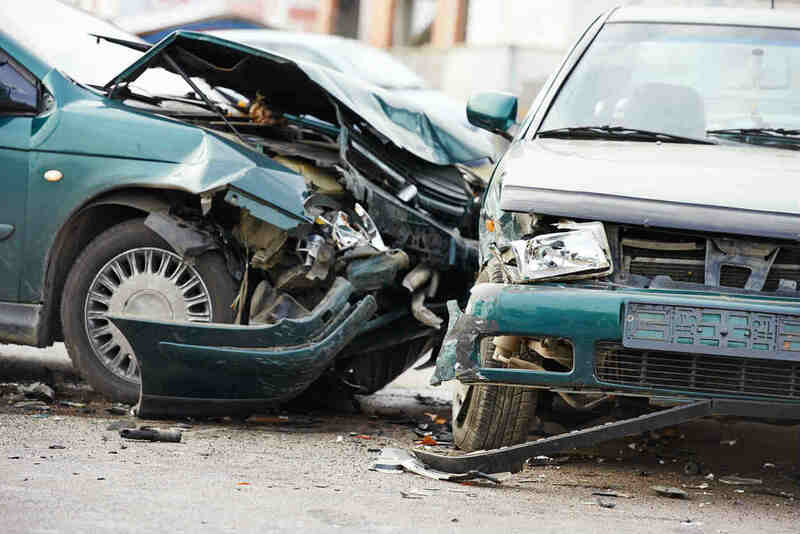 A side collision can cause severe injuries. The occupants may injure their head or ears when the airbags deploy and glass breaks. They may be seriously hit and their neck, back, rib, shoulder, arm, hip or leg can be injured. The passengers on the side of the car which is impacted can suffer neck, head, chest, abdomen, pelvis and leg injuries. The riders on the other side are more likely to sustain head and chest injuries. Spinal injuries are also common in these accidents. The impact of the crash causes whiplash due to which the discs and nerve roots in the spine get injured. It also causes concussions. A concussion is a blow to the head that changes the normal functioning of the brain. It does not always make a person unconscious, but it can cause paralysis as the brain swells or starts bleeding externally. Concussions can have different degrees of severity. A mild concussion typically only causes confusion and the person is unable to think in a clear manner for less than 15 minutes. A moderate concussion brings about a loss of memory along with confusion for more than 15 minutes. A severe concussion generally leaves a person unconscious. After he regains consciousness he cannot remember things and has trouble thinking or moving. Concussions take place when the brain hits the interior of the skull rapidly or it is twisted and rotated due to blows or blunt trauma. A side impact collision often causes such concussions. The axons may swell or stretch due to such brain injuries. This can destroy their capacity to send or receive signals and communicate with the other parts of the body. If due medical attention is not given it may cause chronic pain, headaches, loss of coordination, fatigue, depression, vertigo, anxiety, epilepsy, dizziness, eye pain, blurred vision, comprehension and reading problems, memory loss and attention disorders. In order to get relief, a person should seek medical attention immediately. If a brain injury is not treated immediately it may damage the brain permanently. Injured in a Broadside Collision? Make sure your legal rights are protected! Call The Hoffmann Law Firm, L.L.C. 24/7 at (314) 361-4242 for a free and private case evaluation.